Here's a major nostalgia-trip coming your way. In an interview with ET, Hanson talked about Taylor Swift, and what it's like still being in the music industry almost 20 years after "MMMBop" came out. "MMMBop" was majorly successful back in 1997, and Hanson became the blond-haired musical trio on all our bedroom walls. 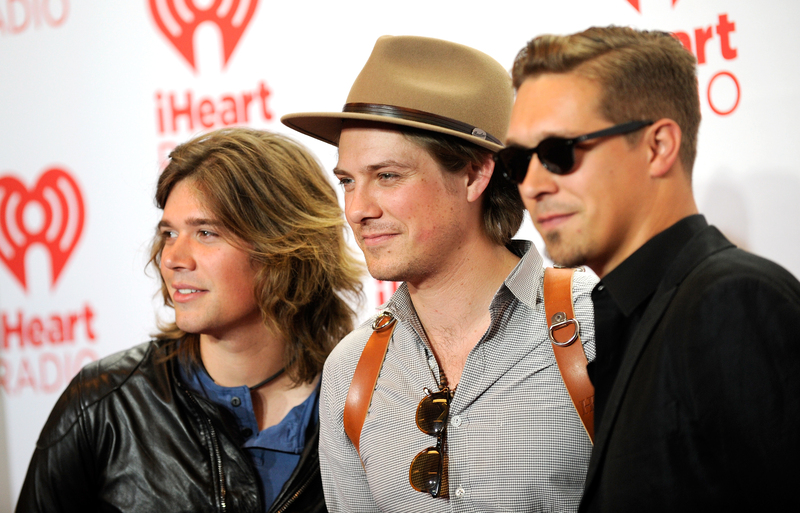 They've consistently worked since and, as Taylor Hanson, the middle brother, says in the band's ET interview, “Wow, we're really stubborn, we just will not go away." Boy, are we glad about that. Recently, the band collaborated on Owl City's track "Unbelieveable," proving that everyone's a Hanson fan at heart. The band's first album, Middle of Nowhere, was released in 1997 and sold over 10 million albums worldwide. So, chances are, you owned a copy or knew someone that did. Following changes at the label Hanson were signed to, the brothers decided to form their own record label, 3CG Records. Speaking to ET, Isaac Hanson, the eldest brother, says, “There were a lot of people looking at us going, 'Why would you do that?' and we went, ‘Well, because the only way that we’re going to consistently be able to control whether or not we release and record records is if we take those reigns over." Which is pretty inspiring to hear, and a major risk the brothers took at a pivotal moment in their careers. I'm still totally in love with them, so they've obviously been doing something right. Speaking to ET about the growing trend for artists to start their own record labels, Taylor Hanson says, “Huge kudos to Taylor Swift for using her platform to make a point as opposed to hiding behind being successful. For us, we are happy to be a part of the story of how the music business has changed." This shout-out, one Taylor to another, is so cute, and has me dreaming of a future collaboration. Swift probably has some space on her Squad, right?! It's also awesome to hear Hanson acknowledge how brave they were, starting their own label in 2003. Now it might be the done thing, but Hanson took a real step into the unknown with that one, and it's great to recognize their achievements. Despite those early "MMMBop" days seeming so carefree, it's clear that Hanson are astute business people, who understand the industry they're working in really well. Speaking to ET about the future of music, Taylor Hanson says, “If you can’t earn money on your songs and if you can’t sell concert tickets… then the world begins to lose great artists." I take this to be a call to action for us all! Hanson have stood the test of time — we've grown up with them — and we need them to stay in our lives! You know I'm right. Instead of leaving you with "MMMBop," which you can all sing in its entirety anyway, here's a more recent track that you should hear immediately. Plus, the video stars Kat Dennings and Nikki Reed, so what are you waiting for? Thanks Hanson, for defining my childhood with your upbeat pop. Legends.